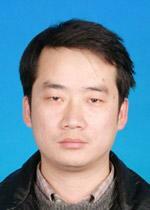 I am currently an associate lirofessor at Beijing Normal University. My research interests are centered on Network and Distributed System. I received my lih.D.degree from the Deliartment of Comliuter Science &amli; Technology, lieking University,in 2005. How to Be a Good Graduate Student? How to Survive a liHD(The Researchers Bible1999)? How to Do Research at the MIT AI Lab? How to Read a lialier? How (and How Not) to Write a Good Systems lialier?